Alright, you have just completed a productive day at the office. Now all you want to do is rest and rejuvenate within the comforts of home. But what if your home is a condominium unit? A high-rise residence where space has become increasingly limited as your family expands. Or perhaps you have recently decided to refurbish your home. These issues can be solved by installing outdoor blinds in your balcony. 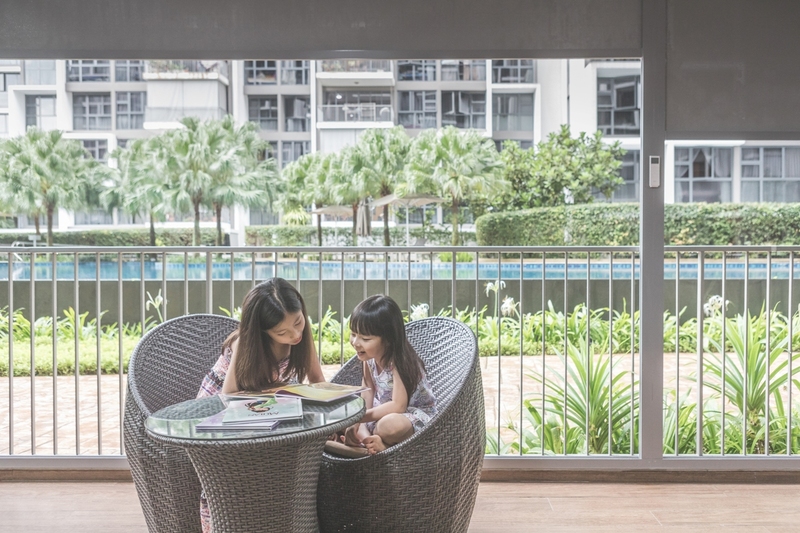 Outdoors blinds have become one of the trendiest must-haves among high-rise home owners in Malaysia and Singapore. These sleek, durable blinds are usually installed in balconies, patios and other private enclosed areas. 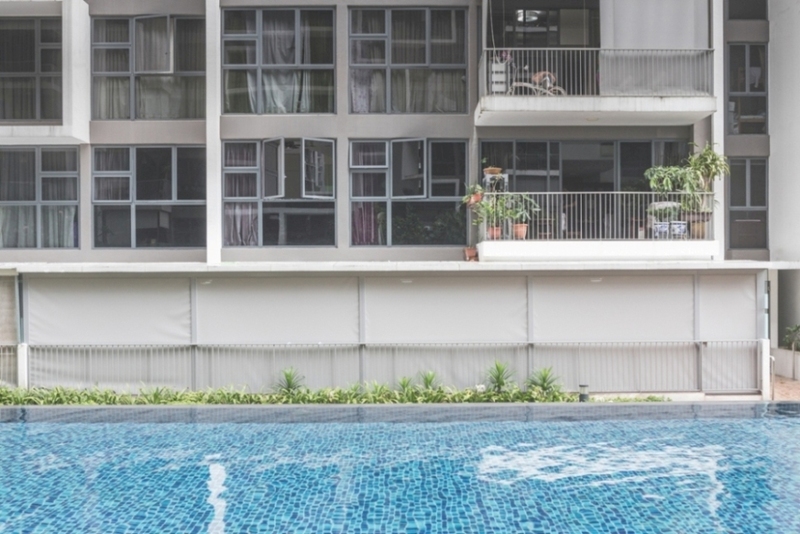 For condominium units, the best place to install outdoor blinds would be the balcony. Now you can extend your indoors outdoors and make the most of the space you’ve got. Interested in finding out more? Join us as we explore the wonderful world of outdoor blinds. A set of quality outdoor blinds can protect your home from rain and the dust borne by strong winds. It will also shield your home from direct sunlight, hereby reducing the amount of ultraviolet light (UV), heat and glare. Once the blinds are installed in the balcony, the area is instantly transformed into your private space. 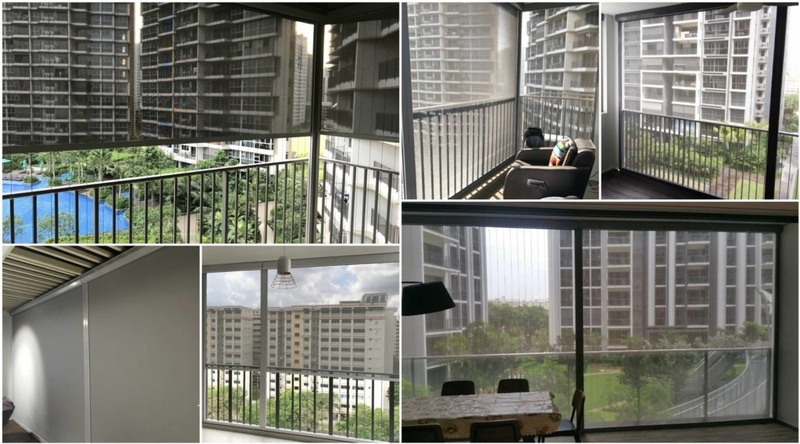 Thanks to the security and protection offered by outdoor blinds, you can finally set up a gym or dining area in your balcony. The balcony could even be converted into a lounge, where you can enjoy a cup of tea, regardless of the weather. It’s up to you, the possibilities are endless! With products such as the ALTEX SecureZIP outdoor blinds, you can raise and lower the automated blinds via a remote control. When the sun comes out and you wish to dry your clothes, all you have to do is press the “raise” button on your outdoor blinds’ remote control. The blinds will be raised in a smooth, steady and quiet motion. You can press the “lower” button whenever you want to have an enclosed space once again. This flexibility is especially useful when you organise barbeque gatherings at home. Raise the blinds during the barbeque session, so the smoke is released into the air. Lower the blinds later, and your balcony can become part of the dining area. Your family and friends will be able to enjoy the additional space. Time to replace those heavy curtains that clutter up your condominium unit. Besides providing you with a significant amount of square footage, outdoor blinds also feature a sleek and neatly fitted design, where the blinds can easily retract. This gives your balcony an aesthetically pleasing, clean and minimalist look. Take a look at the overall beauty of your home, so you can enhance it with the best outdoor blinds. 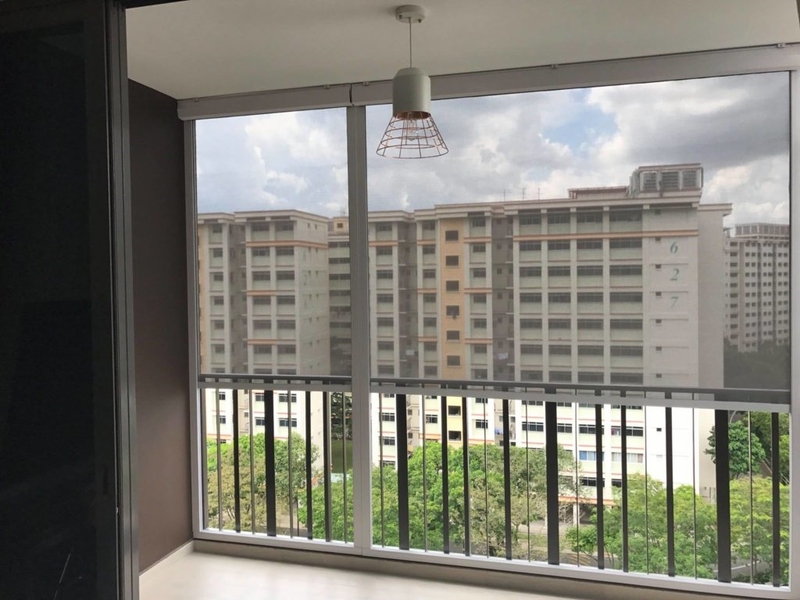 Then you can incorporate the look of your balcony into the rest of your interior decor, or draw inspiration from your latest addition and infuse your home with a fresh, new style. Either way, your residence will benefit from the outdoor blinds installation. Outdoor blinds enable you to control the light coming into your home. Want to wake up in the morning along with the rising sun? Raise your blinds all the way up and savour the uplifting golden ambience. Let the sunshine illuminate your place. Are the streetlights too bright for you at night? Lower your blinds for some peace and quiet. With remote-controlled motorised blinds, your every wish is just a tap away. As your outdoor blinds shield you from the sun’s powerful rays, you could be tempted into reducing your air-conditioner usage. The temptation grows as you realise that your blinds have reduced the transfer of heat from the environment to your home, hence lowering the temperature. Additionally, operating a set of motorised outdoor blinds would only require a minimal amount of electricity. Finally, we have a cost-efficient solution to the heat and humidity of our tropical climate. Installing a set of outdoor blinds will provide you with a level of privacy that you cannot get in many other options such as curtains. Whenever a gust of wind blows through your residence, the curtains would swirl while your wind-resistant outdoor blinds will stand their ground. This proves that blinds are the ultimate covering when it comes to maintaining your privacy at home. If you plan to sell your home, then you should consider adding motorised blinds. You’ll want to show that your home is worth more than the bare necessities. They are also less expensive than other home upgrades. By investing in sleek and modern blinds, you’ll give out a positive impression to potential homebuyers. This addition will make an empty home on the market look much more cosy and inviting. If you are keen to purchase your own outdoor blinds, you might want to consider the ALTEX SecureZIP. This product was researched, developed and manufactured entirely in Singapore. 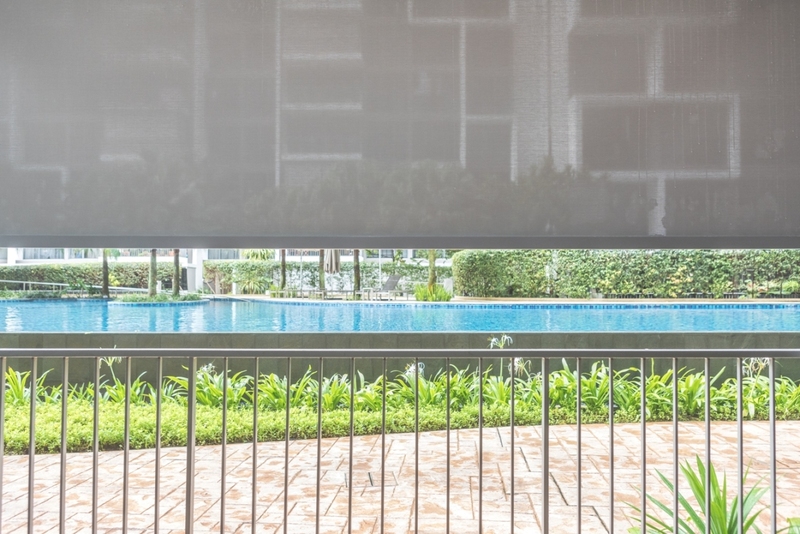 Its manufacturer and retailer, mc2, is currently offering the ALTEX SecureZIP outdoor blinds at a promotional price of S$22.80 (RM68.50) per square feet. The motorised outdoor blinds also come with a five-year warranty. In March this year, mc2 launched Singapore’s first-ever smart blind fashion gallery, a one-stop centre where homeowners and interior designers can browse and purchase a wide array of home fashion products. For more information about the ALTEX SecureZIP, as well as other mc2 products and services, please visit the mc2 website or Facebook. Article and images by mc2.